November 1, 1780 –After Rochambeau and his army restored war-damaged homes in Newport, RI., it was moving-in day for the French. The British had vacated Newport in November 1779, leaving many buildings in poor repair. Rochambeau made Newporters am offer they could not refuse. He would, at French expense, restore many of their damaged homes in order to use them for billeting his officers. They would then occupy them during their mission in Rhode Island. Following their departure, Rochambeau would return the homes to their original owners at no expense. He did just this and made many new American friends! 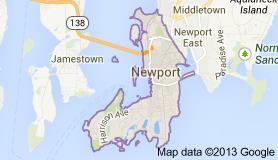 November 1779 Brits vacated Newport, RI, after 3 year occupation.